Man-of-the-match Dan Molloy, who scored two of Chesterfield's nine goals. 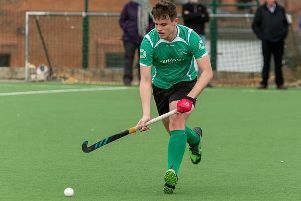 Coach Christian Battye expressed his amazement at an incredible display by promoted Chesterfield that kept alive their hopes of the Midland Men’s Hockey League, Third Division title. 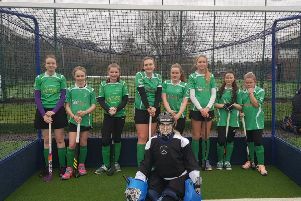 Away to West Bridgford 2nd, Chesterfield were six goals up by half-time and went on to win 9-2 to keep them four points behind leaders Telford and Wrekin with two matches to play. Battye said: “I am astonished by what I saw. I can’t remember the last time we went in at half-time with a 6-0 lead. “Our fluidity, pace and movement were out of this world. It was a performance that was all down to the hours of hard graft the boys have put in at training over the season. Vice-captain Jon Moores got Chesterfield off to the perfect start with a penalty-corner strike after just two minutes. Moments later, leading scorer Joe Morton was on hand to tap in at the far post and then Tasmanian Ollie Smith made it 3-0. Man-of-the-match Dan Molloy netted number four before Morton rounded off a brilliant move for his 19th of the season and Smith lobbed the oncoming ‘keeper for a cracker. Bridgford bagged two consolation goals in the second half, but Chesterfield added three more themselves through Smith (2), who took his tally to four, and Molloy.